Real estate agents have a lot of freedom. They can set their own schedules and work from wherever they wish because they are independent contractors running their own business, rather than an employee tied to the office & desk. That freedom has lots of upsides to it but comes with a few downsides as well. One is, typically real estate agents are responsible for sourcing their own benefits like insurance, financial planning, retirement accounts. As we all know, that can be very expensive. The access to group plan benefits such as this are few and far between for real estate agents. 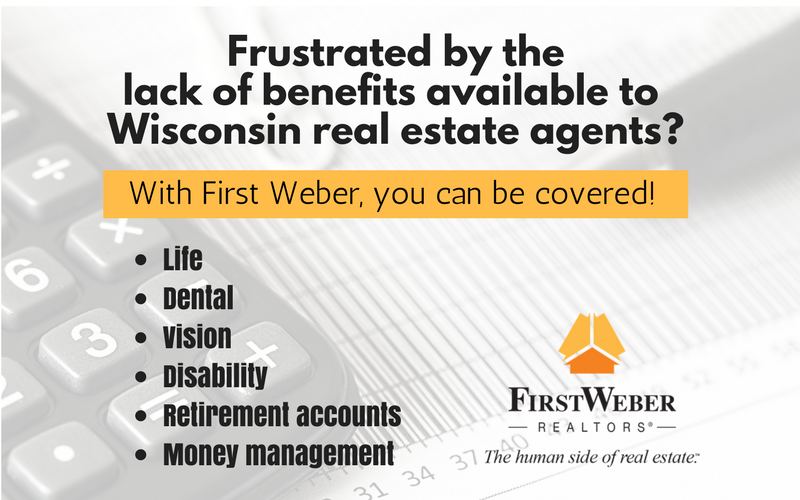 It is the perfect time to talk with a First Weber manager about moving your career where you can be covered and plan for your future easily! You can select an office from our list and you’ll find the manager at the top of the office roster. The trend continues: Prices up, time on market down. Some counties see increased listings which is really good news.